Legacy Mountain Premier Ziplines includes 7 exciting ziplines, breathtaking views of the mountains, and 3 scenic rope bridges. 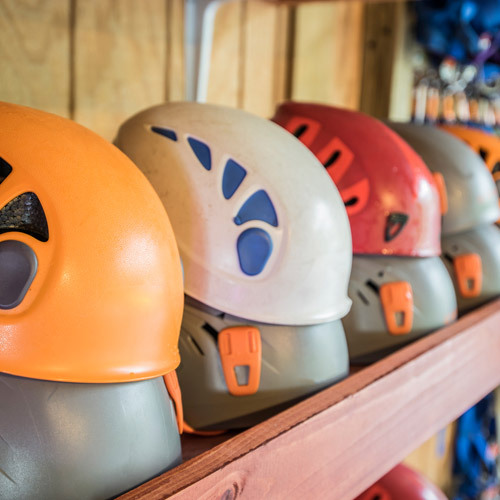 It’s the latest attraction in the Smoky Mountains, offering family entertainment and excitement located on 400 acres with 4.5 miles of ziplines, up to 450 feet off the ground! 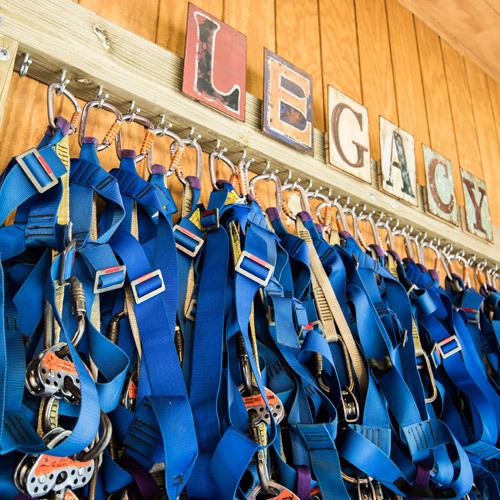 Legacy is the first eco-friendly zipline adventure, fun for the entire family! Ziplines up to 2,500-feet long. All guides are ACCT certified. Wear closed toe shoes and comfortable clothes. Allot 3 hours for tour. 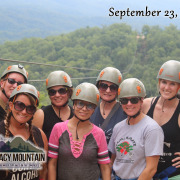 If you are the type of person who thrives off of adventure and loves remarkable views then look no further than Legacy Mountain Premier Ziplines. Each tour includes 7 exciting ziplines, breathing taking views of the mountains, and 3 scenic rope bridges makes this a true zipline experience. 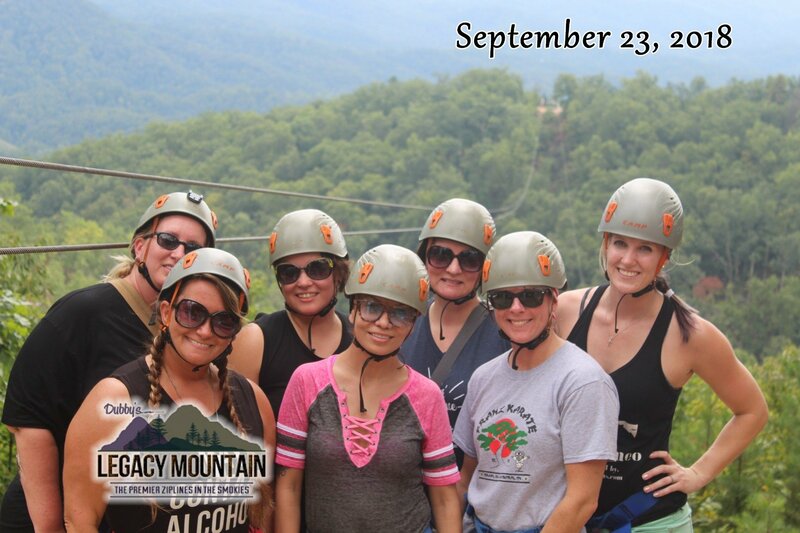 Legacy Mountain Premier Ziplines is the latest attraction in the Smoky Mountains, offering family entertainment and excitement to Pigeon Forge, Gatlinburg, and Sevierville, Tennessee. We are proud to be the first eco-friendly zipline adventure available in the Great Smoky Mountains area. 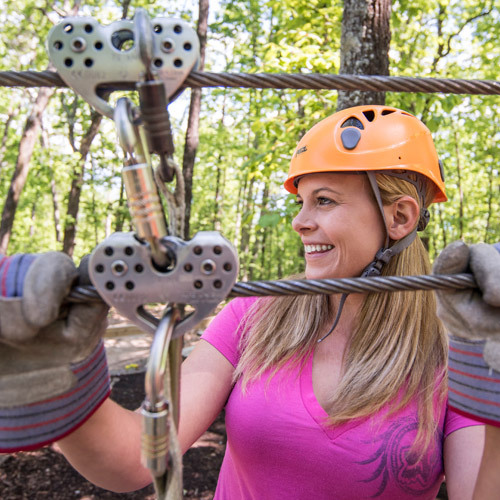 Get ready for some exciting fun at our Smoky Mountain ziplines near Pigeon Forge TN! You will want to ride this zipline again and again! 4.5 miles of lines, 450 feet off the ground! How long does the zip line adventure last? 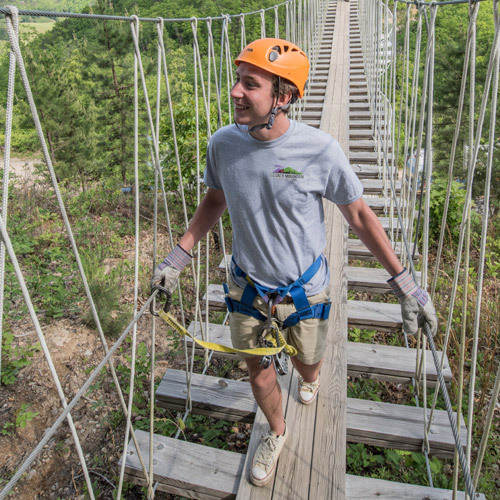 When planning your Pigeon Forge zip line adventure, you want to allot at least three hours for your zip line tour. This time includes a 20 minute orientation where guides will instruct you on important facts you need to know during your adventure. The tour itself usually takes 2 ½ hours on average, on which you will experience seven of our exciting zip lines ranging in length up to 2,500 feet long. At Legacy Mountain, safety is our number one priority. All our guides are professional and ACCT certified. We have a two line system on all of our lines, and only use the safest gear such as Petzl. Guides can accommodate groups up to ten people per tour. Who can go on a zip lining tour? Though age is not a factor for our ziplining guests, we do requests that all touring participants weigh between 70 and 275 lbs. Though the zipline is strong enough to support an automobile, if guests are too light there is a chance the momentum will not carry them the entirety of the tour, and if guests exceed the maximum weight there is a safety risk of not being able to properly break during the tour. Legacy Mountain does suggest that guests with heart or back problems to consult a doctor before arriving for their zip line adventure. For anyone that zip lines, it is suggested that they wear closed toe shoes with comfortable soles, avoid wearing loose or baggy clothing and jewelry, and dress appropriately for the weather. 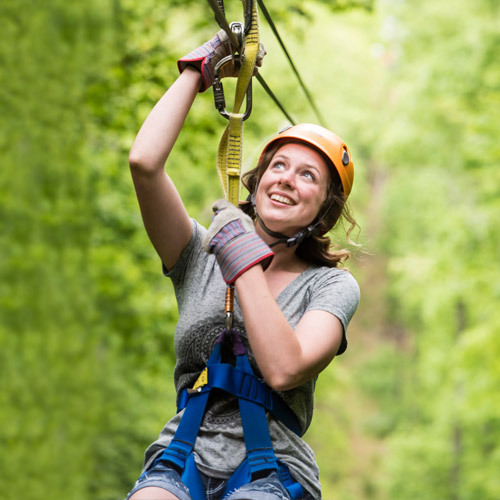 For guests who wear glasses or sunglasses, it is highly suggested to make sure they are secure before starting your Pigeon Forge zip line tour. What is your photo and video policy? We do not allow guests to take photos or record videos during their zipline experience.